​Can this man be stopped? Even in a damn losing effort, the Red Sox find a way to do something cool and incredible. 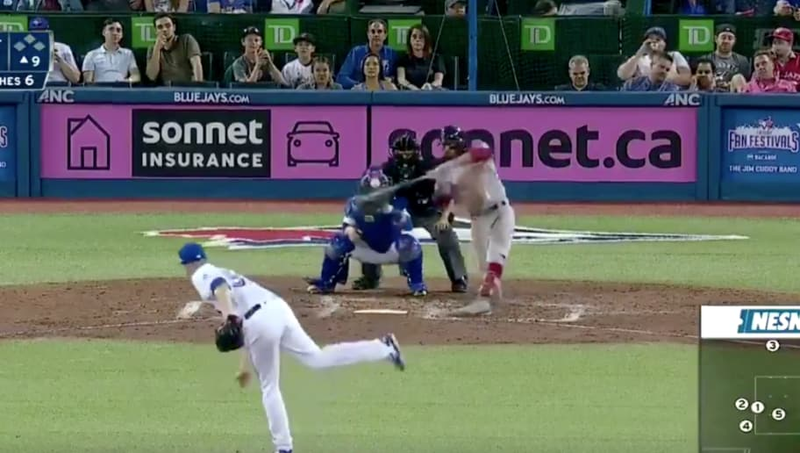 Mookie Betts dug into the batter's box for his final at-bat in the ninth inning in Toronto with his team down 8-4 needing a home run to hit for the cycle. And he did it. Unreal. That's the first player to do it all year! Red Sox fans, you can personally thank the Astros for throwing away their integrity by trading Ken Giles to the Blue Jays for Roberto Osuna, because now Giles, the disaster artist, is the late-innings guy for Toronto. He paved the way for the ​Sox's big win two nights ago, and now he did this. Mookie finished the night 4-for-4 with two runs scored, an RBI and a walk in the losing effort. If anything, this just helps his case for MVP even more.